We started at the small Goldmalt brewery at 17 van phuc. This is one of the most unknown breweries in the city because of its location. The beer has been really good here the latest 4-6 months, both the black and the blond one. Goldmalt at 17 van phuc was delivering the beer to the Swedish national day at 6 June 2013 which was very appreciated. Today the black beer was the most popular, the blond was good but not the same as last weeks tasting. The two managers came and gave us a good welcome and some good prices on the beer. Normally the prices are already good here, 34 000 and 36 000 VND for the beers. After a couple of beers we went to Lacvieen at nr 2 Lang Ha to try their 3 beers on tap. 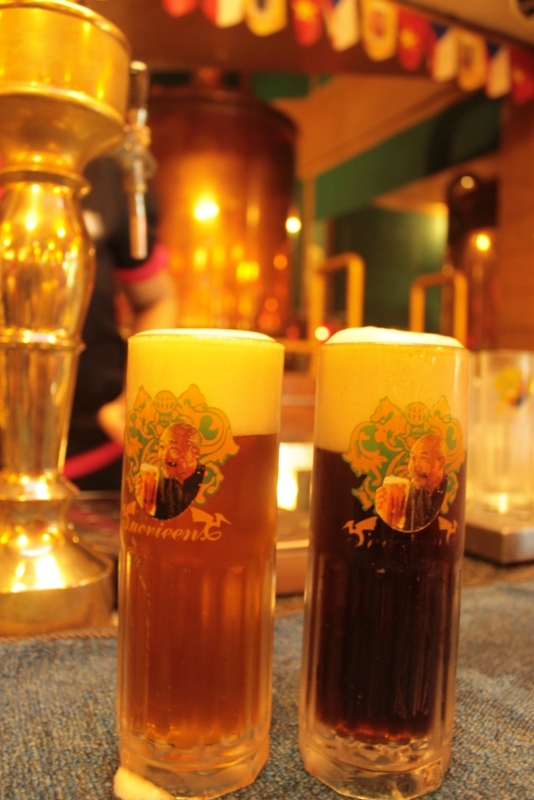 Lacvieen is one of the most expensive breweries both when it comes to the beer and the food. 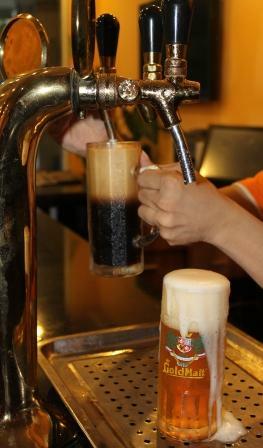 The three beers was stout, gold 11 degrees and golden 14 degrees costing 36 – 44 000 VND. The degrees is a traditional measurement method from Czech republic. All three beers had about 4-5% and was quite light and a bit sour and dry. The stout was less tasty than in Goldmalt and the structure was ok but not really enough. The golden beer was more tasty and better structured than the gold which was too light. Hopefully the beers will improve. The place was full of big groups eating and drinking so its quite popular despite the high prices. 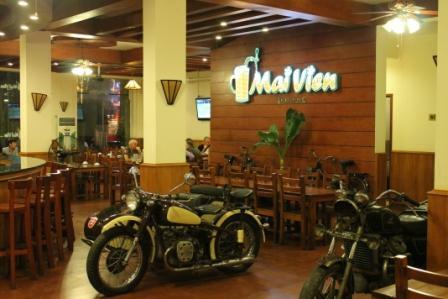 A 10 min tour and we passed the second burger king (yes, burger king is really new here) in Hanoi and went to Mai vien brauhaus which is situated in a quiet area with many Korean shops. The owner and brew master Tin welcomed us and made the visit really good. The difference between previous beers in Lacvieen and the beers here was easy to describe, much more malt and body in the beers. 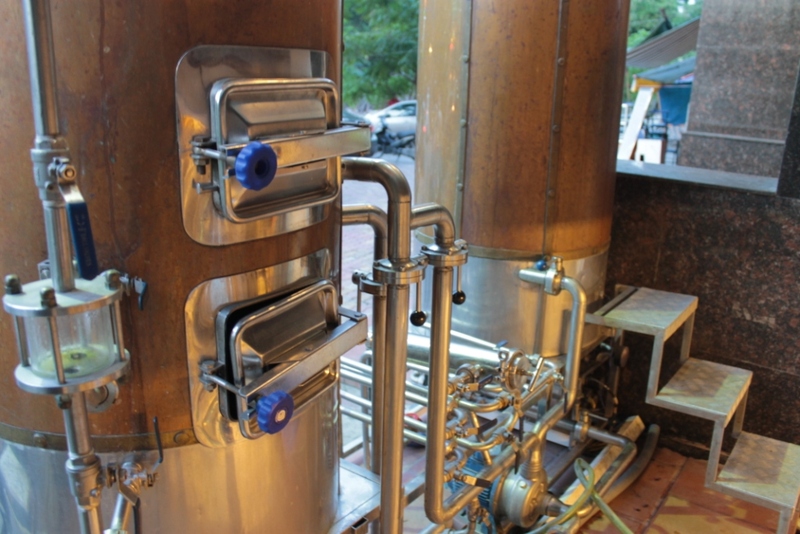 Tin showed us the brewing equipment and let us taste fresh beer that had been only one week in the barrel. Normally the beer is ready about 3-4 weeks after boiling. The black beer is more like a stout with a bit coffee in it and really full bodied and well structured. The blond beer was also a good brew and full bodied. Service and beer here is really good, this is a good place to start a evening in. Next stop was Hoa vien brewery. The manager there always take good care of us and when we arrived the table was reserved and the food came out directly despite the late time. At a Wednesday they normally close around 10 pm and we came a bit after that so tSome fried cheese and deep fried calamaris made company with 3 good beers. Patent, black beer and blond beer. 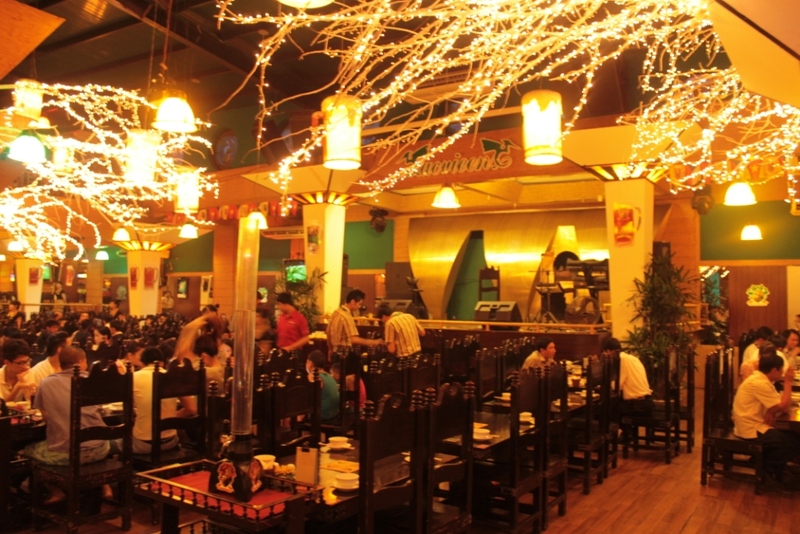 Hoa vien is stable and the quality is really good, there are no surprises here. We made a short visit in the storage room with big and cold containers with plenty of good beer. 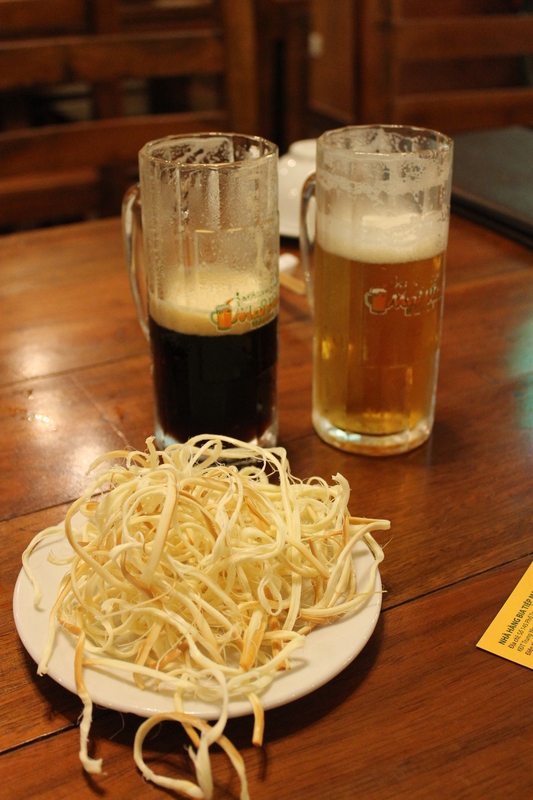 The most popular beer this day was the black beer at Mai vien brauhaus, the black beer at Goldmalt was quite close also. 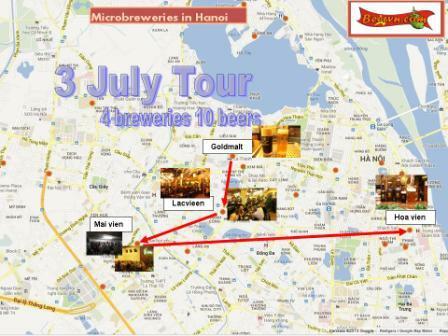 This entry was posted in Activities and news and tagged brewery tour, goldmalt, hoa vien brewery, lacvieen brewery, mai vien brauhaus, microbrewery. Bookmark the permalink.